The dagger striper is a unique brush with a fine tip and gradually curving, angled edge. It’s name is derived from a sword-like appearance and it is a very popular brush for pin-striping and free hand lettering. Many years ago I used a dagger for faux marble to create subtle variations in the veining. I discovered Barbara Rudolph’s work while researching techniques for the dagger. The way Barbara uses our dagger is unique. 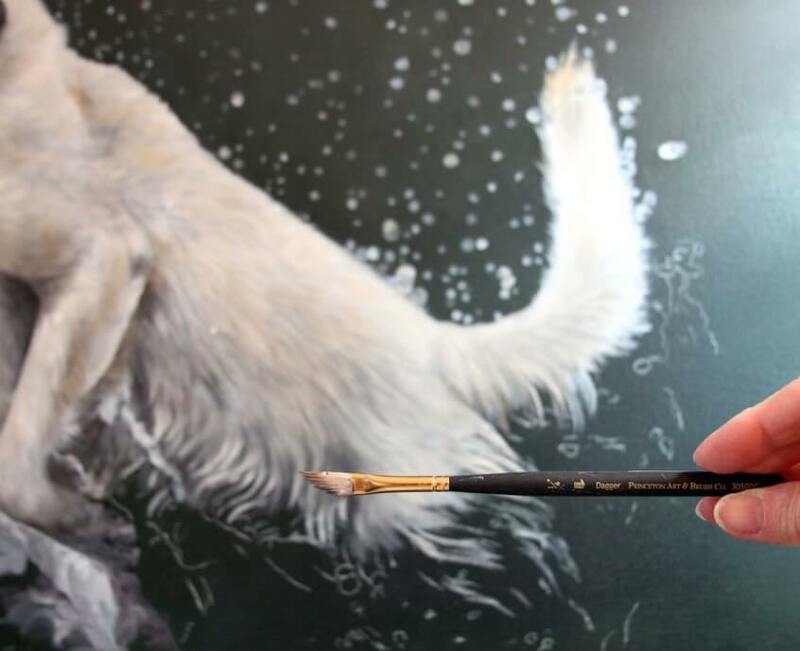 She uses a 1/4″ dagger from our mini-detailers Series #3050 to achieve the “wet fur” look by painting with the the pointed part of the brush down and moving it upwards. The mini-detailer Series #3050 dagger striper is a synthetic multiple filament brush ideal for long grass, flower stems, leaves and beautiful foliage due to an ability to produce thick and think lines in a single stroke. Clearly Barbara has found an innovative way to use this unique shape. In recent years Barbara has focused primarily on intimate portraits of birds, often posed on top of musical instruments or a stack of books. 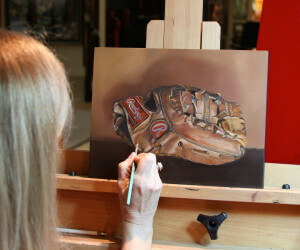 Many of her latest works also include sports themes and other wildlife subjects. She devotes time to photographing birds which she later incorporates into her oil paintings. “My inspiration for my new bird series was inspired by my late father. His hobby was bird carving, and he always wanted me to paint birds. It wasn’t until later in my career that I finally devoted myself to this as a subject matter and now I am forever hooked. 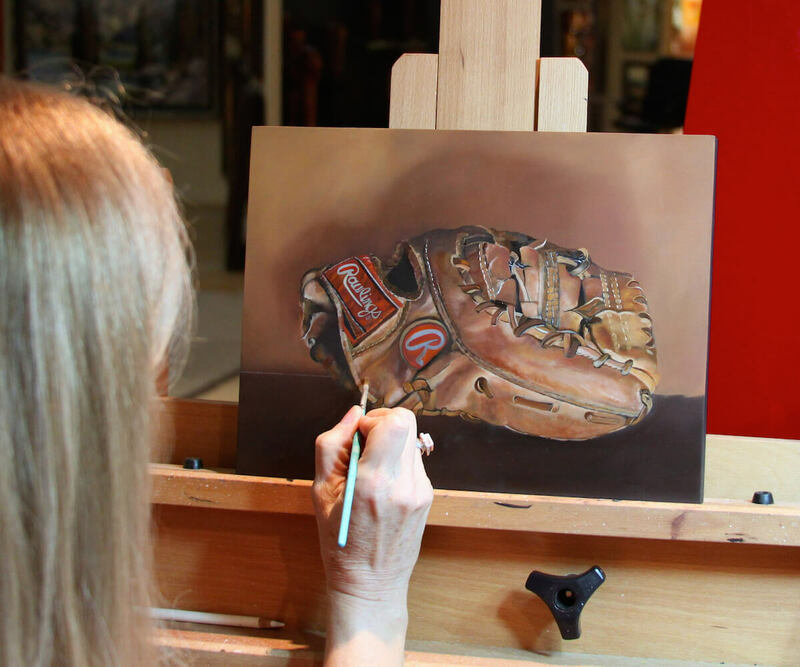 Barbara is an Arizona artist who has been interested in drawing and painting since an early age. She earned her Bachelor of Arts degree in 1990 from Arizona State University specializing in painting and printmaking. After college she continued to study and take various painting workshops at the Scottsdale Artists School as well as in San Miguel de Allende, Mexico. Her introduction into the professional art world was in graphic design, followed by many years of painting for the fine art publishing business. In the late 1990’s Barbara began working full time painting in her own studio. She has created many works for clients in a variety of styles. Her medium of choice is oil paint. 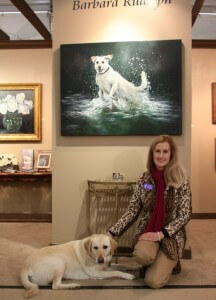 Her realistic paintings have been shown in galleries throughout the country. They have also been featured in design trade magazines, as well as in Southwest Art Magazine and American Art Collector. She has been awarded many commissions and her work can be found in the homes of collectors throughout the United States. 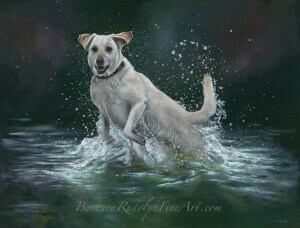 Discover more about Barbara and her techniques at http://barbararudolphfineart.com.